BP provides people all over the world with transportation fuel, energy to meet all of their heating and lighting needs, as well as retail services and products for many of the everyday items used each day by millions of consumers. BP is considered one of the world's leading international oil and gas companies that exist today. Students may choose to participate in either BP's internship or co-op programs where they will be given hands-on work assignments to complete in their chosen field. BP offers the opportunity to work alongside professionals who will teach them how to approach and solve problems on some of the issues the company faces each day. BP takes its internship and co-op programs seriously and strives to create a working partnership between the company and its students over the course of the time each student spends working at BP. BP feels that the time each student spends working with the company will help determine the course of potential future career possibilities if both agree that it seems to be a good fit. The experience students get while working at BP will make a major contribution to getting their career off to a good start. BP's Co-operative Education Program provides a valuable and unique experience for students to alternate between working and completing their academic requirements. Students participating in the Co-operative Education Program often begin working during their sophomore year. During this time students get the chance to see what it's actually like working for a company and learn the knowledge and skills required to be successful once they get hired into an organization. As part of the Co-op Program, students will receive supervision and guidance and will be provided with an individualized work plan while assigned to specific projects. Completing the projects provides students with exposure to challenging opportunities that crop up daily in a regular work environment. Treated as regular employees, students will receive frequent performance evaluations and mentoring by BP supervisors and mentors who hope to teach them what they need to know when entering a new career. The Co-op program is available for chemical and mechanical engineers as well as procurement majors in BP's refining area. Students participating in BP's Internship Program will be given hands-on experience in their career field of interest. Internship opportunities are available primarily for students majoring in the following fields: engineering, science, and business. Check with the Career Services Office at your college to find out if BP representatives will be coming to conduct interviews at your campus. Both summer and year-long internships are available. Engineering: There are many types of engineering jobs available. At BP, those who specialize in automotive, civil, marine, mechanical, and chemical engineering are deemed to be most in demand. Other types of engineering students are also welcome to apply. Science: Students majoring in chemistry, geosciences, petrophysics, and environmental science are in high demand at BP. Chemists hired on are expected to keep BP at the forefront of creating fuels and products that will last longer and do a better job. The role of the geoscientist is to find new stores of oil while it's the environmental scientists and petrophysicists that ensure that the removal of the oil is done safely ensuring no damage to the site's ecosystem. Business: As in any business, there are many individuals at BP whose primary focus is to make the company run smoothly and ensure that it increases its profitability as it continues to rise above its competition. Business professionals involved in trading, finance, commercial applications, and procurement and supply chain management can all find rewarding careers at BP. BP's Technician Internship Program works primarily with community and technical colleges around the country. These internships allow for the company and the student to evaluate if future full-time employment would be recommended. Students in the Technician Internship Program will be given specific projects to complete and will be trained and mentored directly by BP's experienced technicians. The Technician program offers available opportunities in all major areas of BP for process, production, instrumentation, electrical, and mechanical technician students. Select candidates need to be enrolled in a recognized technology program and must be in good academic standing. Students must be self-motivated and possess strong leadership and communication skills. Students can apply for the internship opportunity prior to completing their first year of college; however, the first year of the program must have been completed before the internship actually begins. 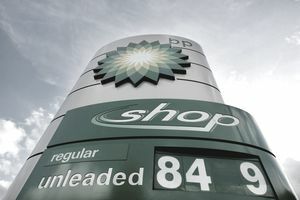 BP strives to stay on top of the latest developments in order to keep ahead of its competition. That's why BP seeks bright and talented to students to come and join their team. BP's Upstream and R&M Programs provide on-the-job learning for students to develop their practical skills and confidence in working in a professional environment. In addition to training required to be successful on the job, BP also provides coaching to help students further develop their "soft skills" through training in communication and improving on their ability to do formal presentations. Learning these skills will help make students successful no matter what type of environment they are working in. BP offers an excellent competitive wage for students to help pay their education expenses while still attending college. BP's Co-operative Education and Internship Programs are also what the company uses as its primary source for hiring when seeking to add additional future full-time employees. All candidates must be in good academic standing when applying for BP's Co-operative Education or Internship Program. Candidates must be self-motivated and also possess excellent communication skills and a proven record of strong leadership skills that will assist them in taking full advantage of all the program has to offer. BP offers excellent jobs for bachelor, masters, and Ph.D. candidates. BP's Careers section lets you see the types of positions and opportunities that are currently available, along with the application and selection process. BP's Future Leaders Programme is an excellent way to jump-start a career and make the transition from college to the real world a positive experience. All new graduates and students seeking internships must complete a self-assessment questionnaire and application form online. Select candidates may then be called in for two rounds of first interviews (technical and personal) prior to making it to the final interview stage.